Cloud allows the developers to deploy network applications and ensure its availability around the globe within minutes. Once these applications are successfully executed and get popularity, they could be easily scaled up to handle more traffic. Cloud platforms have presented the updated steps of technology evaluations. Such evaluation enables focuses on the data and application. There is no more need for concern regarding fundamental infrastructure. Cloud Foundry is a cloud based open source platform as a service (PaaS). It especially focused to support the cloud developers in reducing their burden. Cloud Foundry is designed to build, deploy, execute and scale applications to the public as well as private platforms. Cloud Foundry was initially established by VMware but now it is a part of Pivotal Software. Cloud computing balance its load of processing through multiple devices. It is optimized for the flexibility and efficiency against any failure point. Cloud Foundry installation accomplished the balance in three different stages. BOSH is an open source project. It offers a chain of tools for deployment, life-cycle management, release engineering for the services distributed at large scale. It deploys & creates virtual machines by prioritizing the infrastructure of physical computing. Cloud foundry executed on the top of BOSH. It follows a complete manifested documentation. It was specially developed to install cloud foundry PaaS. 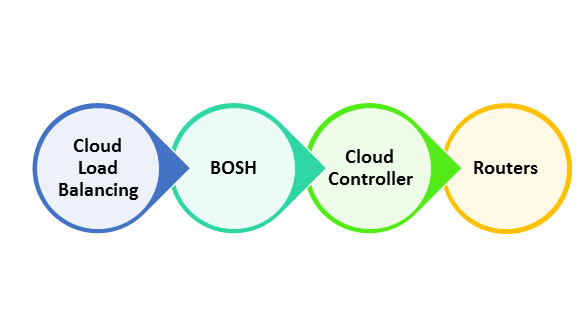 A cloud provider interface allows the user to extend BOSH in order to support IaaS providers. Cloud controller is an appliance for storage. It automatically transfers data from the on-premises to cloud storage. Cloud controller of cloud foundry was used to execute the applications and different other procedures on cloud’s virtual machine. It maintains the balance in demand and efficiently manages the application life-cycle. Once an application is successfully deployed to cloud foundry, all of its external applications and systems traffic is managed and controlled through the routers. These routers are responsible to maintain a dynamic route table for all deployed applications in cloud load balancing. In cloud foundry hosted applications are distributed and loaded with Diego system. It supports in execution and maintaining the balance. Diego has accomplished it through the auction algorithm. In order to meet the demand, multiple host virtual machines execute duplicate examples of an application. It straightforwardly means that the applications must be transferable. Cloud foundry allocates the applications source code to virtual machines and through machines are responsible to compile and execute the application locally. It also includes the operating system stacks to run an application. It contains a complete suite along with libraries, services, and languages that are required to use the application. It doesn’t send the application directly to virtual machine but cloud controller stages by combining all stack and source code. Virtual machine unpacks the suite, compile and then execute it. How Could We Monitor Cloud Foundry Deployment? Cloud Foundry components and application logs support in generating the system logs from hosted applications. Once the cloud foundry executes, it’s all components as well as hosted virtual machines create the metrics and logs. The system combines all component metrics and applications logs into a functional and structured form. All of the combined output of specific user could be used as tracking the system internals and analyze user behavior. The logs of components follow entirely different gateway. Cloud Foundry is an amazing tool that supports in modernizing the applications. CF is offering wide-range of advantages to an application execution. It is an open source tool support in meeting all industrial requirements exceptionally. Cloud Foundry deployment and modernization is in the hands of business decision makers and IT leaders. This tool is supportive in speeding up the delivery for the whole It has effectively simplified the application execution for the existing environment. What Are the Isolation Segments? Cloud isolation segments are allowed to generate various groups of the apps within a single cloud foundry deployment. It separates these groups at the machine level. This separate deployment of cloud foundry is required by the DevOps engineers. This segmentation is restricted to security policies specified for the customers. If a client is asking for separate application production, quality testing, staging and deployment, isolation segments are quite useful for them. 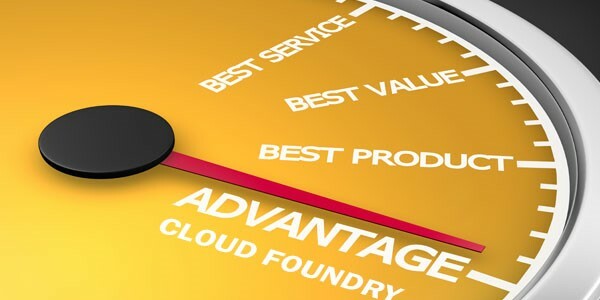 Cloud Foundry is undeniably an industrial rapidly growing and adopted platform available. The interest of developers is gradually increasing in such deployment with the passage of time. Therefore, it is constantly offering new features every passing year. If you’re keen to know more regarding cloud foundry deployment and architecture, feel free to contact us.